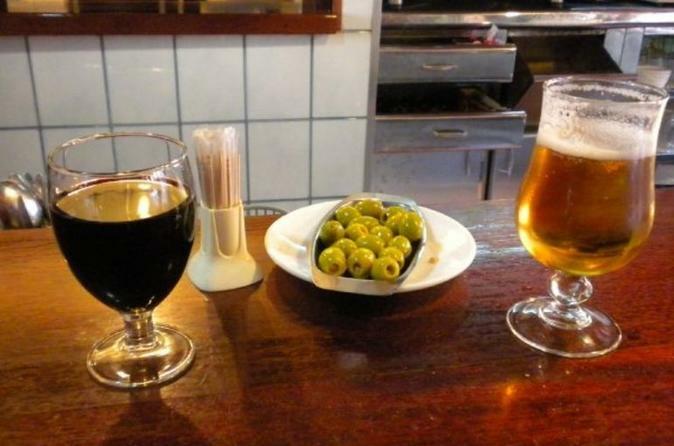 On the walking tour you'll visit four traditional bars/restaurants to try authentic Spanish delicacies. It might be chorizo in cider, octopus from Galicia, cider from Asturias, sherry from Andalucia or other regional specialties. The tour price includes your first drink and tapas at the first bar you'll visit. You can then choose how much or how little you'd like to eat and drink at the other bars/restaurants you'll visit on the evening walking tour. For a satisfying night out you should expect to spend about 30 to 35 euros per person. Along the way, your English-speaking guide will explain the traditions behind Madrid's food and wine, and advise on local specialties. Your local guide will also assist with language and translation, while providing interesting facts about Madrid's history, culture and customs. As the average maximum group size is eight people, you will enjoy a unique personalized experience on this special evening walking tour of Madrid's fabulous tapas bars and restaurants. It's the perfect way to discover local insights, while sampling traditional food and drink in great company. Ultimately, adding more color and flavor to your Spanish sojourn!